Swimmers Beware, Hungry Shark™ is back! Experience life as a Shark in the ultimate test of survival. Jaw dropping 3D graphics and action packed gameplay. Grow from a pup into a 10 ton Great White Shark! Eat your way around a diverse aquatic world full of wonder and danger. Feast on tasty sea creatures, swimmers, turtles and fishermen to grow into a giant. Battle enemy sharks, submarines, and the weird creatures of the deep. Chain up combo bonuses to gain massive hiscores! Complete missions and find treasure to earn coins and gems. 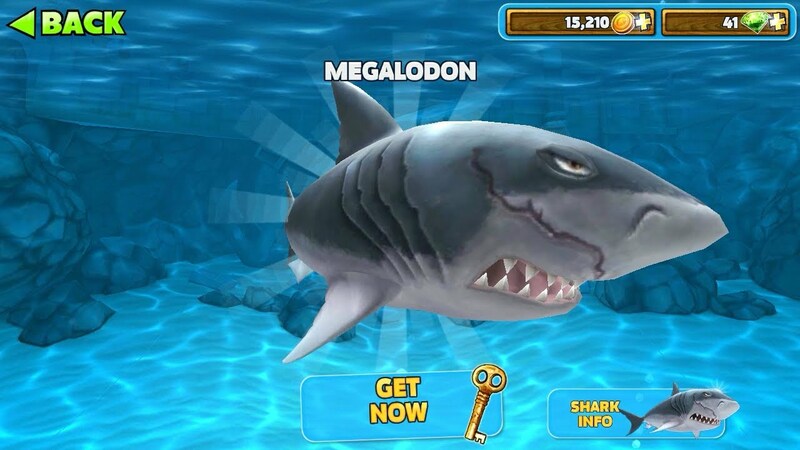 Spend these rewards on upgrading your sharks abilities or buy special life-saving items. 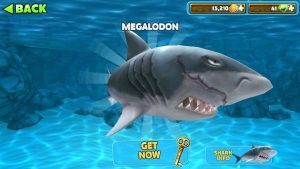 Progress to unlock the most ferocious beasts in the sea: Mako Shark, Hammerhead, Tiger Shark and the almighty Great White. Regular updates on the way – new features, content and challenges to keep you coming back for more!This app contains In-App Purchases which allow you to buy Gems and Coin currency which can be spent on upgrades and accessories. Gems and Coins can also be collected in game without requiring purchase, or by watching video advertisements from the Treasure screen.